Whether you believe in the “goldfish attention span theory” or not (personally I don’t as I believe it’s not as simple as that), one fact remains. It’s harder and harder for brands to keep their target audience invested in them. Where, at one point, creating viral content was the answer, thanks to the amount of signals coming to us from every direction, there’s now a limited space brands and their content can occupy. Because of this, instead of putting all their money on one viral video, brands need to adopt an “always on” approach and make sure they are consistently available to their consumers. That your content strategy is much better off if you include video content is probably not news to anyone anymore. According to Hubstaff, 97% of marketers say video helped them increase user understanding of their product or service. However, a lot of content marketers struggle to adopt video into their strategy efficiently. Whether this is because of their lack of understanding of their core audience, or something else is up for debate, but this was most evident on YouTube during a social video revolution a few years back in 2014. At the time, it seems everyone heard they should produce video content and YouTube provided an easy way to do so. However, most of them were unable to differentiate themselves sufficiently, as they stubbornly held on to the idea that all they needed was that one elusive viral video. Unfortunately for them, they never made that viral video. Whether it is out of pity (or they got tired of seeing people stumble with their “content strategies” (and I use the term very loosely here), YouTube stepped in and said “hang on, you’re doing it all wrong” and introduced a new framework – 3H content strategy. What is 3H Content Strategy? 3H content strategy stands for Hero, Hub and Hygiene (I’ll get to them individually a bit later) and it’s YouTube’s way to show brands and content creators how they should approach content creation on the site and why chasing viral content is the wrong thing to do. As you can probably summarize from this, most of your content will fall into the Hygiene category of the 3H content strategy, followed by Hub and finally Hero, of which there will be least, but will act as a guiding light for mass audiences to check out your brand. Do you remember Red Bull’s Project Stratos? In 2012, Felix Baumgartner made the record for the longest supersonic freefall jump, as he climbed to an altitude of 39,045m in a helium-filled balloon, reaching a max speed of 1.25 Mach or 1,357km/h in a 4:20 minute freefall through the stratosphere. That video was to this day seen by more than 43 million viewers and is a prime example of what Hero content is. Are all of those 43+ million actual Red Bull consumers? Not likely, but this allowed the company to reach a huge audience and increase its brand awareness. Following this video, which was not only featured on YouTube, but many TV stations around the world also directly broadcasted the event, thus bringing even more eyes to it, Red Bull gained thousands of new subscribers that year alone. 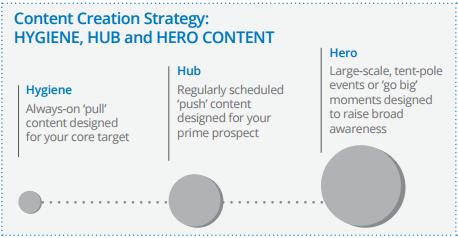 But, as the name of this content strategy framework suggests, one H, even if it stands for “Hero” is not enough. Thinking so leads right back into the “viral video content” trap that 3H content strategy aims to avoid. Because of this, the brand needs to work on the other two Hs as well, starting with Hub. While Hero content has the task to appeal to a mass audience, there’s no guarantee they will come back. 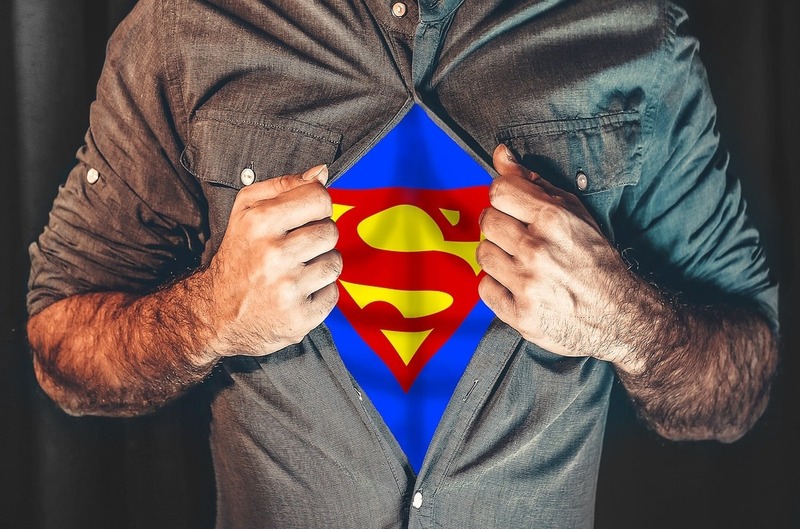 Hero content is something most brands manage to come up with only once or twice per year, but the question is, what to do in the meantime? Hub content may not be as exciting as seeing a man jump from the stratosphere and break the sound wall, but it’s serves as a reason for your target audience to keep coming back. This is why YouTube recommends that this content should be regularly scheduled and designed for your prime prospects. In other words, Hub content needs to engage your audience and also provide a value (other than entertainment) to them. The whole idea here is to get people to make an action like, follow, tweet, subscribe, etc. This doesn’t have to be video content and you don’t have to spend a ton of money on it, as Hub content also involves blog posts for instance. The main thing is that its regular and follows your brand message. Finally, we’ve come to the bottom of the 3H pyramid and its foundation – Hygiene content. This is likely the least exciting part of it, but then again, you don’t build a house (or a pyramid on that matter) from the roof or top, but starting with the solid foundation. Hygiene content requires that you are present where your target audience, your customers are and are ready to provide answers to their questions related to your industry. For instance, a tutorial or how-to video or blog post on how to wind an automatic watch properly is an example of Hygiene content. The Hygiene content thus will probably not be as interesting to a mass audience (not everyone is interested in automatic watches, for instance), which is why it focuses on those who are already actively searching for answers related to your field of expertise. In a way, the 3H content strategy puts all the money on the Hero content getting views. But that’s only a part of it. Mass awareness is not enough as you need to also be able to get people to engage with your Hub and Hygiene content. These two are what your actual audience, your target customers will be interested in much more. In other words, if customers don’t eventually find their way to your product or service, you haven’t really done much. Brand awareness on its own is not enough and you also need to provide value to your audience. In other words, win both the hearts and minds. 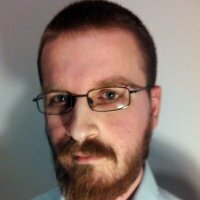 What do you think about the 3H content strategy? Do you think it would work on your brand or not and why? Let me know what you think in the comments below. How to Structure, Manage and Lead Your Content Marketing Team to Glory and Success?